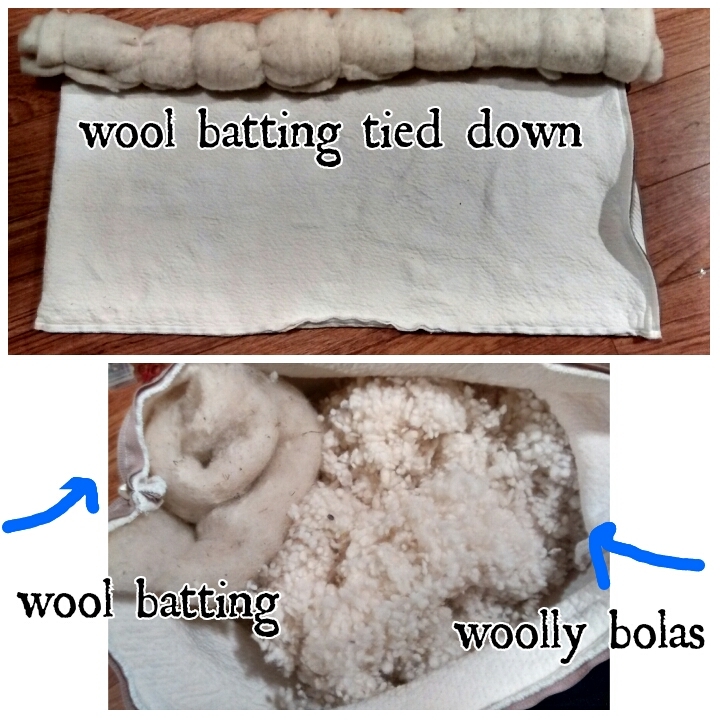 DIY, neckroll, wool pillow. Using rolled up wool batting stitched with long threads to one long side seam of the pillow, we created a neck roll. As the wool compresses, I expect it to be more and more supportive. Right now it is nice and springy. We used the softest of fluff, the woolly bolas, which if they compress only need to be pounded back into shape, to fill the rest of the pillow. It is soft and moldable and very comfortable.